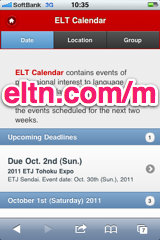 This page gives you an overview of the various ways that ELT Calendar distributes event information. Some of these are ways that you can subscribe to information, so that you can stay up to date without having to visit the site daily. 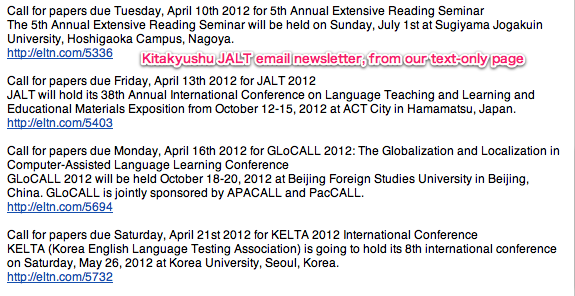 Others are ways that you can distribute ELT Calendar information from your newsletter, blog, or website. Various ways to get event information sent to you. 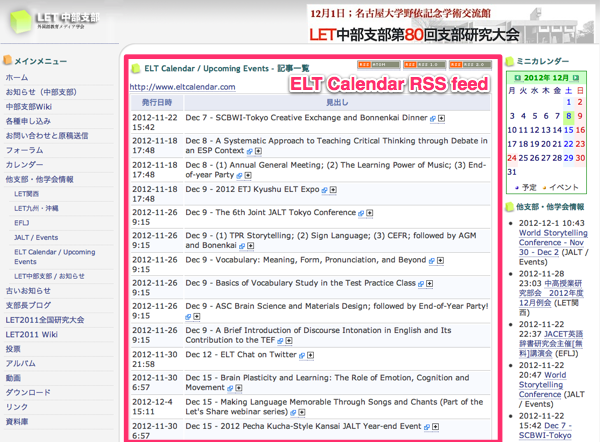 ELT Calendar on social websites. Examples of websites carrying our event info. This page is about subscribing to a steady stream of event information, but if you want to add only one event to your calendar, you can. Go to the full description page for the event. Sign up for our weekly email newsletter for a convenient weekly update on what's happening. See our information page on RSS feeds to find out more. 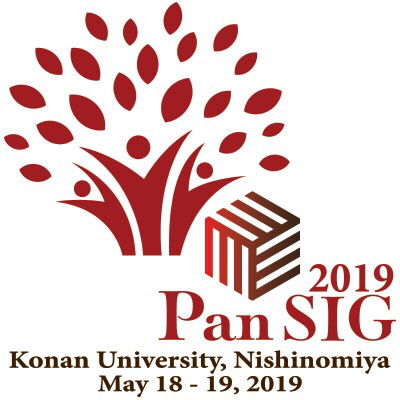 Visit the iCalendar page if you want to put our events into your iCal software, Google calendar, or various other online or desktop calendars. See the Google Calendar page for an easy way to put our events into your Google calendar. See the Yahoo! Calendar page for instructions to add our events to your Yahoo! calendar. 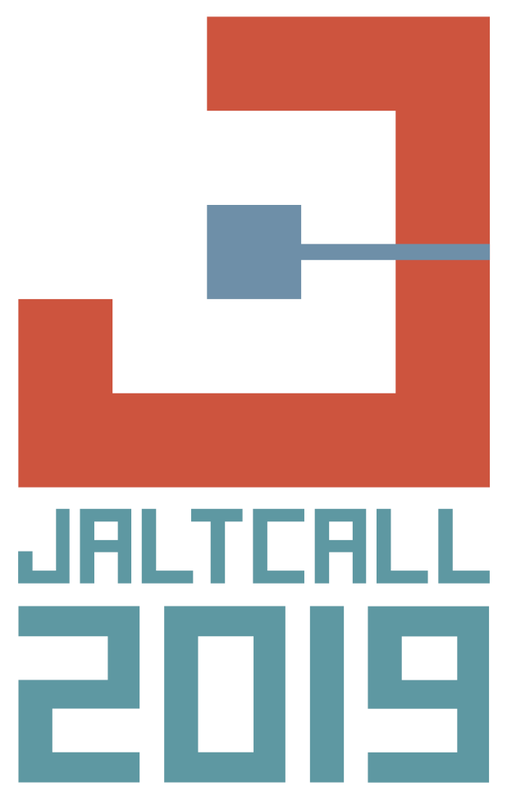 We have a text-only list of upcoming events that you can copy/paste into your newsletters. I mentioned above that we have various RSS feeds that you can subcribe to. RSS is also a powerfull way to put event information on your website or blog. 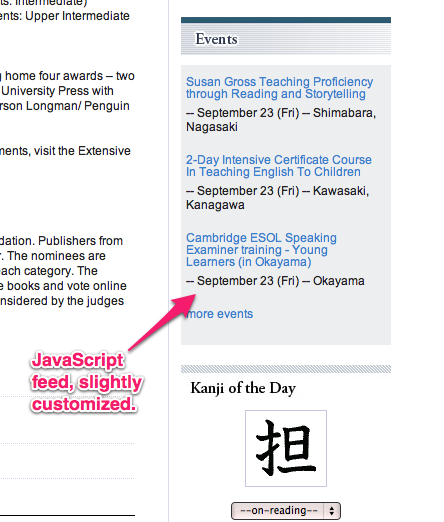 See the examples of websites using ELT Calendar feeds below to see some examples of this. Our RSS page has a section on help adding RSS feeds to blogs. 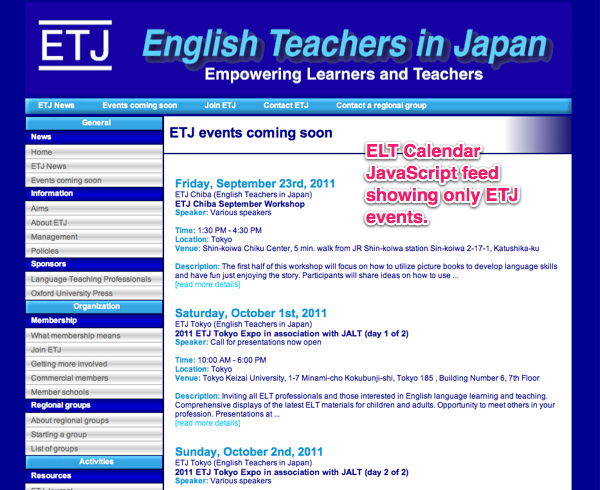 You can add a Google Calendar of ELT events to your website. 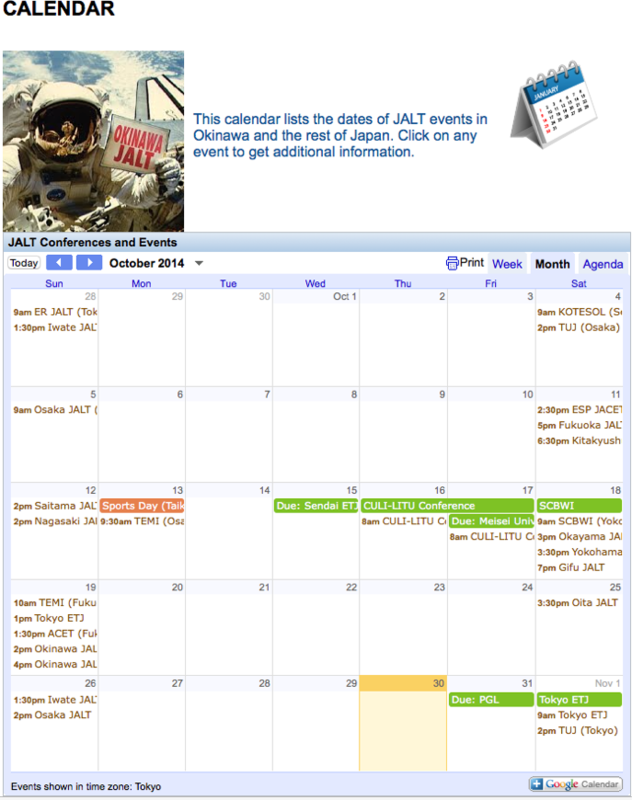 First, create a Google Calendar of ELT Calendar events. Second, follow these instructions on Google's site. Click "Tweet" to start a post on Twitter. "Like" will post the basic event details on your Facebook page. Posting to Twitter or Facebook is also a great way for you to help the event organization to publicise the event. This kind of grass-roots support can really help make an event successful. 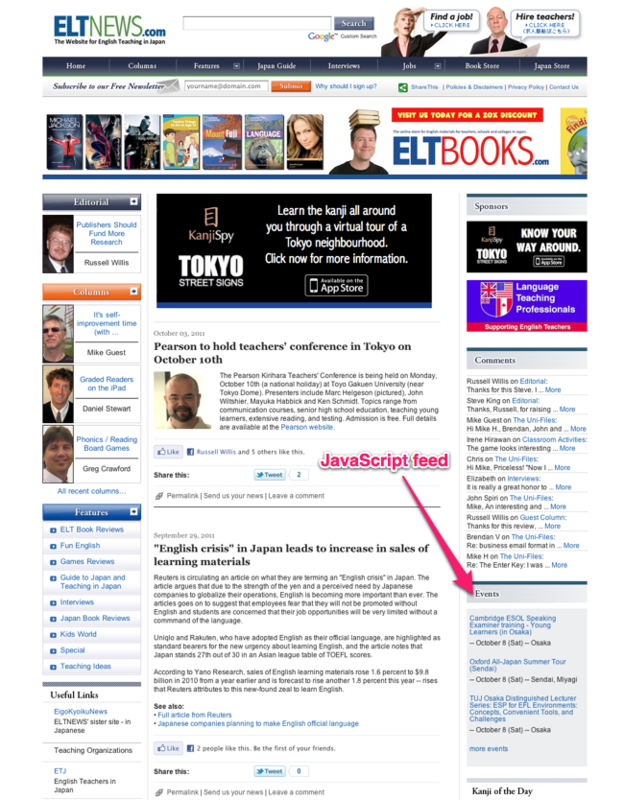 Other websites carry ELT Calendar information by using one or more of the options that are described above. The list below does not include all of them, but it's a representative sample. 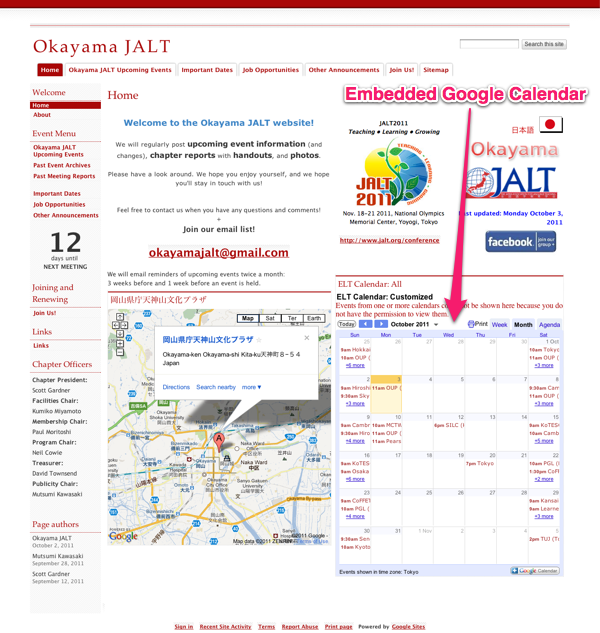 JALT's Okayama chapter uses the iCalendar data to put a Google Calendar on their web site (photo). 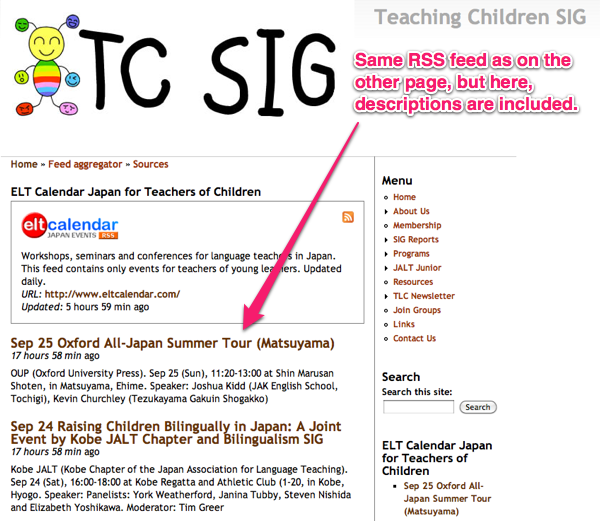 LET Chubu (Japan Association for Language Education and Technology, Chubu Chapter) uses our RSS feed of upcoming events (photo). 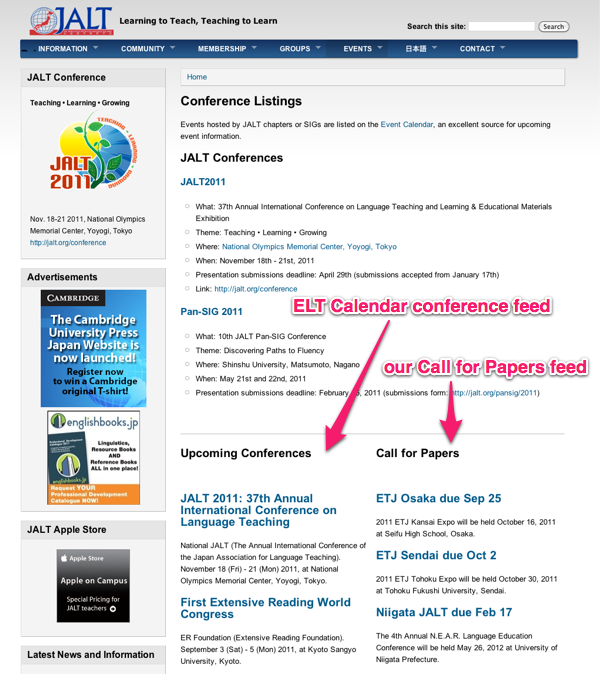 JALT's conferences page uses ELT Calendar's Upcoming Conferences feed and our Calls for Papers feed (photo). 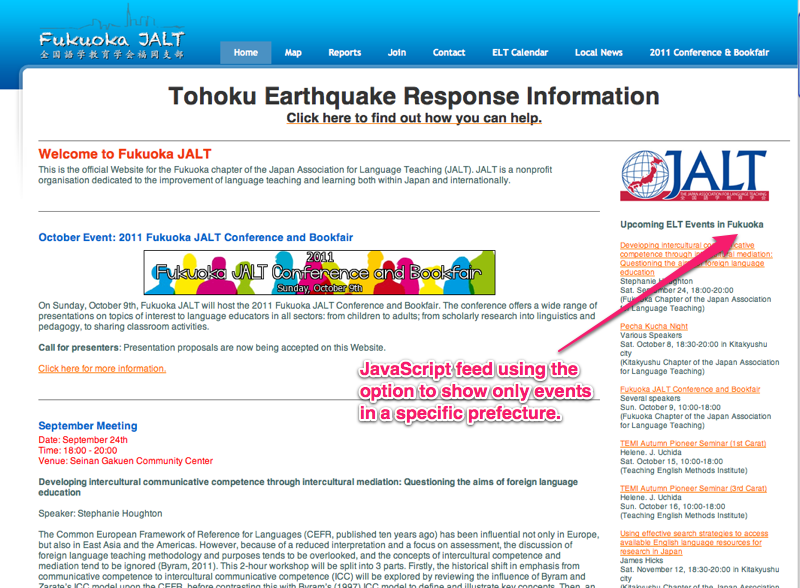 JALT also uses the feeds on this page, too. 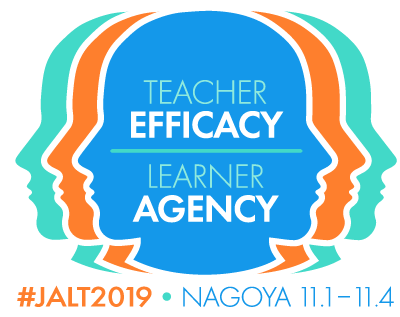 Several groups use ELT Calendar content in their email newsletters, including Kitakyushu JALT (see photo), Fukuoka JALT, and David Paul's Language Teaching Professionals. You can copy content here to paste into your newsletters.